Graduate students and students in the Arts and Science Federation of Associations voted for a one-day strike on Nov. 10, joining 140,000 students across the province also confirmed to be on strike for the Day of Action against tuition hikes. 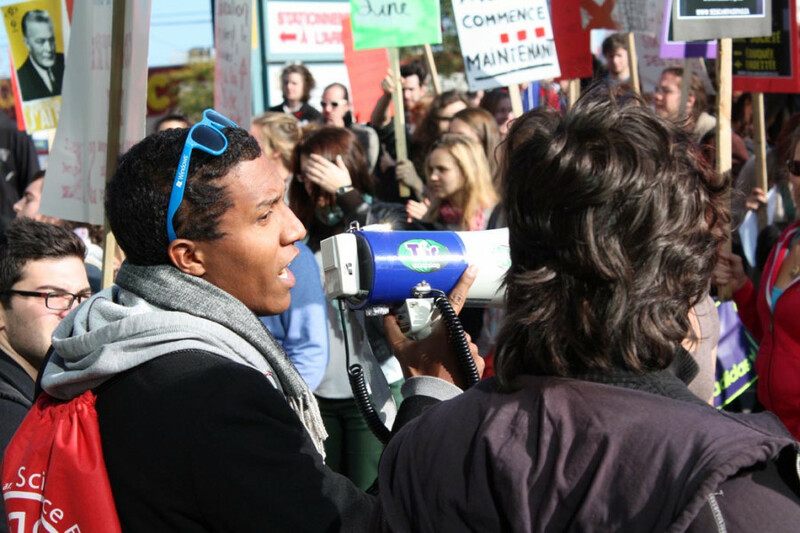 During a joint Special General Meeting on Nov. 3, over 500 students from ASFA and the GSA congregated in room H-110 of the Hall Building, opposing the tuition fee increase of $325 per year from 2012 through 2017. Over 98 per cent of ASFA members who turned out voted in favour of the strike, while the GSA students who voted were unanimously for it. The unions represent 14,825 and 6,000 students, respectively. With 2,500 Timbits being passed around, ASFA students waited nearly an hour for the 371-student quorum to be attained, which was necessary to make the vote binding. GSA VP External Holly Nazar was scheduled to give a short presentation on successful student strikes in Quebec history—instead, students yelled, “Vote!” until ASFA members proceeded to the vote without discussion. Six members voted against and one abstained. The 80 graduate students briefly discussed the strike and voted 20 minutes before ASFA reached quorum. GSA’s quorum was 60 members. Erik Scanlon, an ASFA member, voted against the strike and called the meeting undemocratic due to the lack of discussion. He also said that the arguments made in favour of the Day of Action were false. GSA President and Mobilization Squad member Robert Sonin said he was surprised with the turnout. He also expected more questions from the undergraduate students, but then figured that they were near unanimous with their decision. The vote was largely symbolic, as striking will garner students no special privileges. Though they won’t be granted academic amnesty from Concordia University, Concordia Dean of Students Andrew Woodall has recommended that faculty be lenient with students walking out on Thursday. While the CSU did not hold its own strike mandate vote, citing the difficulty of mobilizing the 900 students necessary to reach quorum, Gill did say that the Nov. 10 Day of Action will set the tone moving forward. “[All the student unions] in Quebec are looking at a strike mandate in January and February, depending on what happens on Nov. 10,” said Gill. According to the event’s Facebook page, students will meet at 11:00 a.m. on the Reggie’s Terrace for music, sign-making, free food from the People’s Potato and information. Students at the Loyola campus can board buses to the downtown campus at 12:30 pm. The march begins at 1:10 pm.